Sew Can Do: Safari Set & Organic Fabric Giveaway! 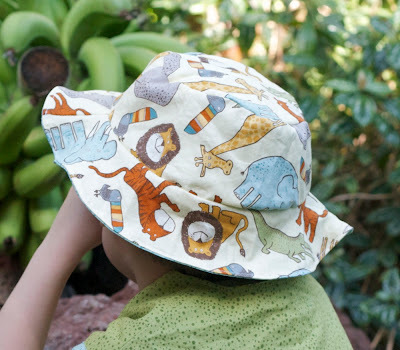 Safari Set & Organic Fabric Giveaway! 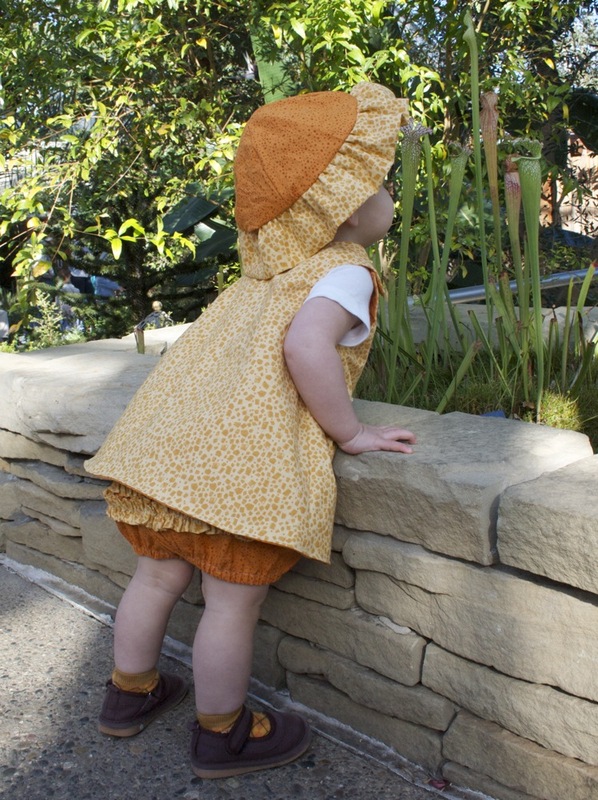 Who doesn't love babies with ruffle bums? I used the jungle animals again but with the aqua & leaf prints. I made bias tape from the aqua to accent the armholes. 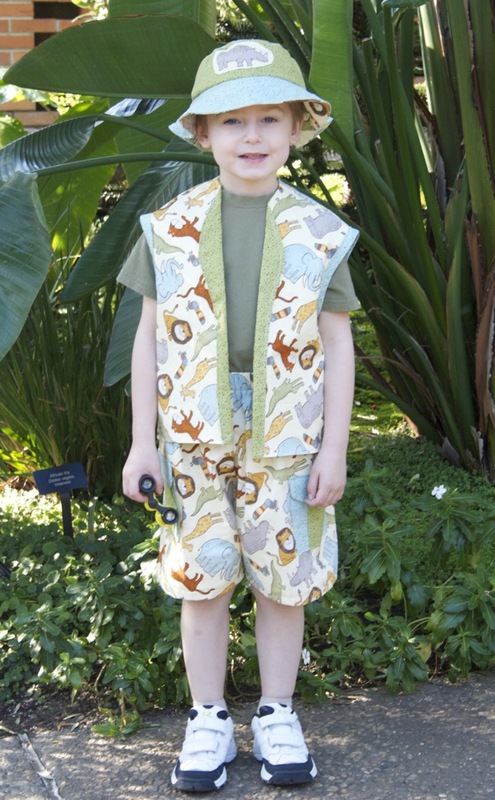 Flap pockets on the shorts & vest are perfect for all the things a little explorer needs to carry. Want to get some Organic Mighty Jungle for yourself? Timeless Treasures has generously provided some of this new collection for today's giveaway. 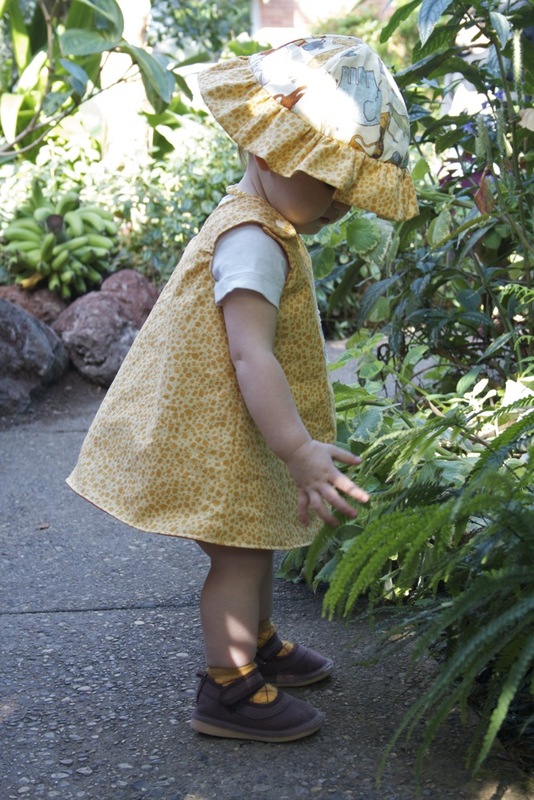 TWO lucky winners will receive 1/2 yard cuts of a jungle animal print & two coordinating colors. All are 100% organic cotton! Visit Timeless Treasures site & leave a comment saying which fabric is your favorite. The giveaway will be open until 11:59PM EST March 26, 2010. GIVEAWAY CLOSED. I will announce the winners on March 28, 2010. Good luck everybody! Sharing these creations with my FAVE LINK PARTIES too so check them out HERE! My son is 2 years old and I have yet to make him a quilt...this would work great for that! Thanks for the great giveaway! i would make some mug rugs for my kids for their cups! follower of sew can do! i like the let freedom ring! thanks! This would be fun fabric to make some outfits for my nephew!! Thanks for the chance to win. Your outfits are adorable! I would make a jumper for my girl as well. So cute! i'd make some quilted cushions for my daughter's bedroom! i am a follower of "Sew Can Do"! 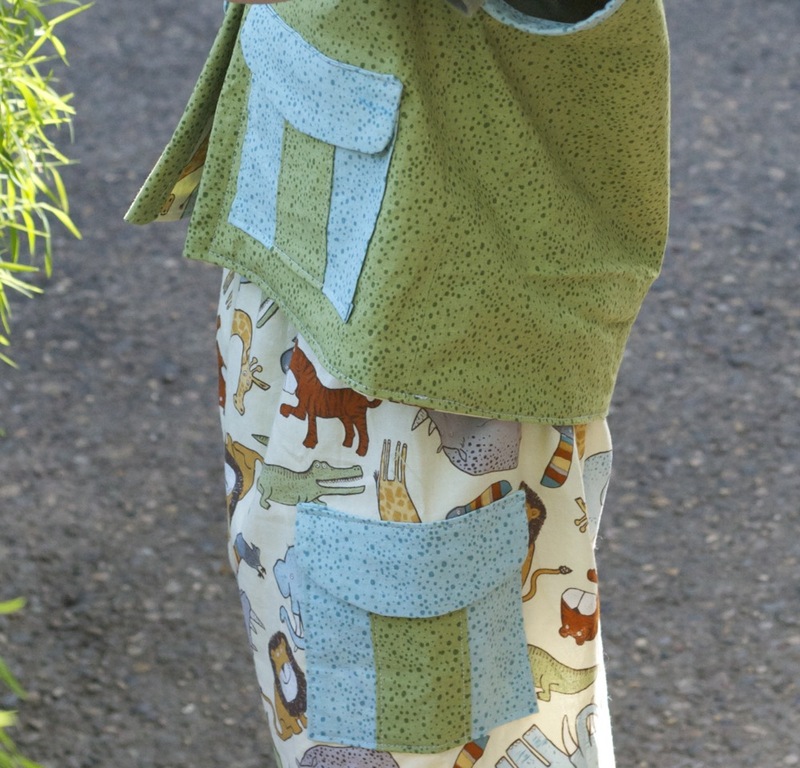 my favourite fabric on timeless treasures is that with green elephants (mod-c8127-green). so cute! Id make a shirt for DD... Very cute! so cool! I love the dress and bloomers, and I'd try to make that! Wow, thanks for this chance !! I'd definitely make something cool for my boys, like matching hats and shorts or a nice T shirt... Oh, I'm daydreaming now !!! I'd have my mom make my 1 year old son a very cute outfit! I would make some wristband money holders for my boys! I'm a Sew Can Do follower! Your children remind me of mine at that age - oh! so sweet!! The outfits are darling too. Would love to win this bundle of fabric to make a lap quilt. Thanks! I am a follower and looking forward to future sweet posts. Thanks! My children would enjoy to have something done with these beautiful fabrics. Oooh, fun prints! I think I'd make my soon-to-be kindergartener a cute backpack and matching lunch bag. You made beautiful things with it ! I would maybe make some pillows for a kid's bedroom ! I would make bibs for a colleague who's having her first baby in August. Thanks for the chance! I love kidz-c7491-white, so cute! Oh my stars! That little dress is adorable! My friend's having a little girl and the fabric would be awesome! Wow! 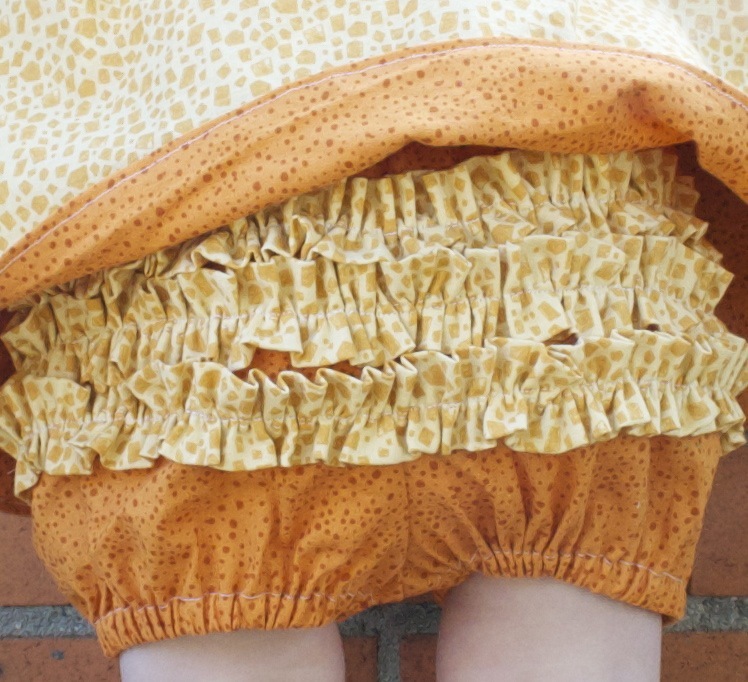 What a fun shorts with ruffles! I love it in the orange! how sweet! How lovely, what a gorgeous pair you've got! I too love ruffly bums! What would I make? I think a blanket or quilt for a friend's new little baby boy. Love those ruffles on the bum!!! !I would love it if you added this to my new link party! I would make my son his library bag out of this material. I checked out their website I LOVE wsunny-lc7325-orange SO CUTE! 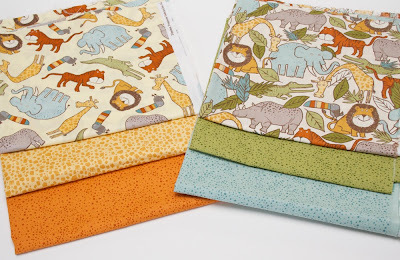 I'd make some awesome pillows for my nephew's jungle-themed room! My favorite is the tonga-b6914-pool. I'm a Fb fan of Timeless Treasures. This would make a fun baby/toddler quilt! I'm now following this blog. :) Great giveaway! Thanks! I now follow Sew Can Do on Facebook. I'm a fan of Timeless Treasures on Facebook. I'd like to make a dress for my little sister or handmade goodies for our shop with the fabric. I would make some pillows for my kids. 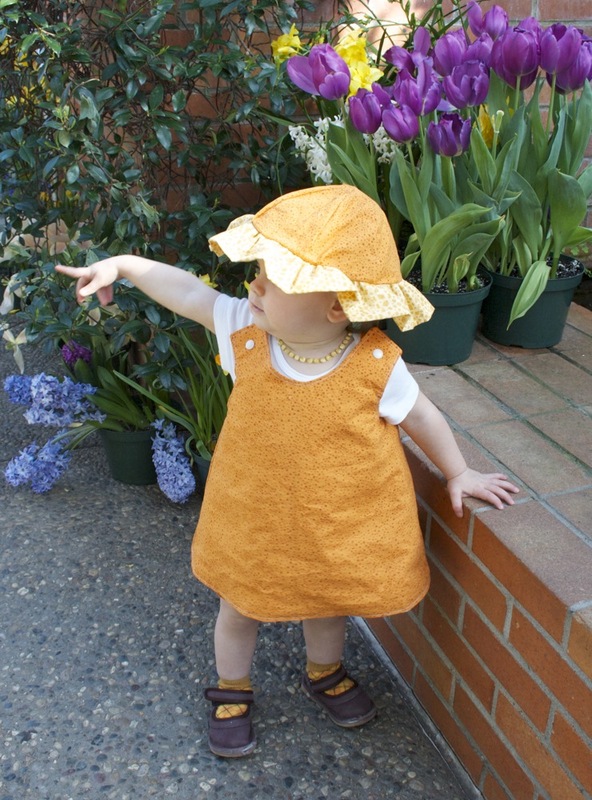 I sew something new for my niece and/or nephew once a month, so I'd make something for them! My daughter-in-law makes beautiful quilts as gifts so I would give this to her and see what her creative mind comes up with! I became a follower on Google Friend Connect. 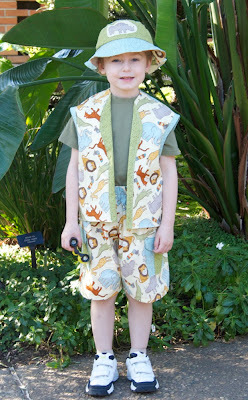 I am a fan of Sew Can Do on facebook. The pressure!...hmmm...My nephew would love something made with them, maybe a cute little quilt. I like Timeless Treasures on FB. I'd make my little boy a blanket. He loves blankets and this fabric is adorable! I love the american valor collection. Especially the polka dots with the white background. I love the hat idea. My kids could definitely use some summer hats. I think that is what I would do with the fabric. I would do a great little applique flower bag with this fabric. I love using organic cotton. Actually my latest project was made from it. Im a fan of yours on facebook. Im a fan of Timeless Treasures on facebook. 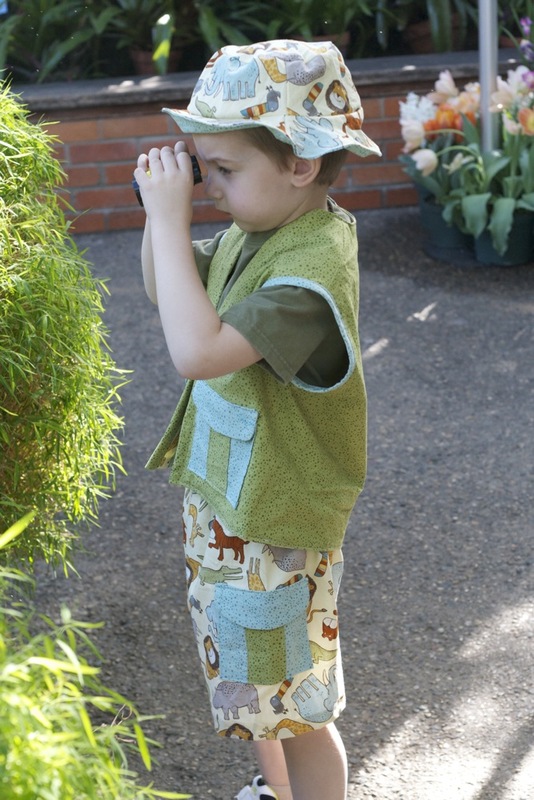 I think I would make my son a hat and some shorts with this fabric - it is so cute! I would make jumpers for my nieces. Such cute photos and designs! Thanks for sharing! OMG - I love the gail-c8205-black fabric - all those happy bumble bees. I need to get some! 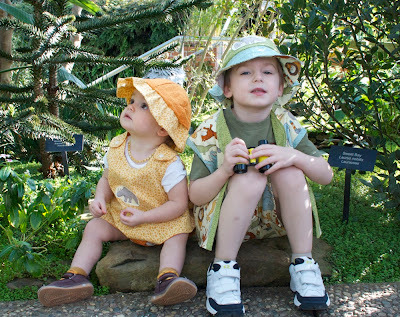 I saw these outfits and new my son needed a safari outfit as well. I've been making him cowboy stuff and prince stuff but didn't EVEN think of safari! I would make a hat and some shorts for sure!!! I would make some lil outfits. I like the orange/black beach getaway fabric. I shared on fb - http://www.facebook.com/profile.php?id=100001891505536#!/permalink.php?story_fbid=203660066319334&id=100001891505536. I would make pants for the boys ~ they are busting therough their knees! I shared on my FB page ~ Dragonfly Designs! Thanks for the great giveaway! Absolutely adorable! MY BFF is having a baby this spring and this fabric would be perfect for a cute blanket & matching bib or burp rags. I follow Sew Can Do via GFC! I'd make some cute hats with it. I am a fan on Sew Can Do on FB. I am a fan of Timeless Treasures on FB. I am a follower of Sew Can Do. Thank you for putting together this fun giveaway! 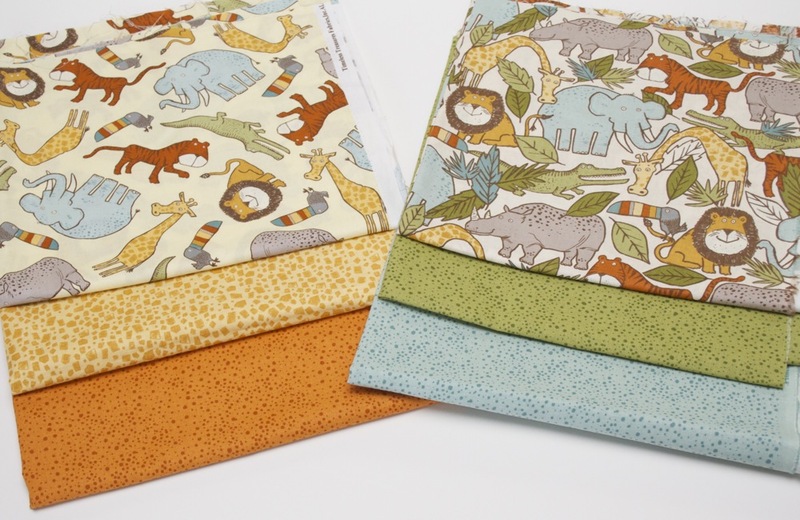 At Timeless Treasure's site, I love the Dino line novelty fabric, especially the tan fabric with all the names of the dinosaurs!! 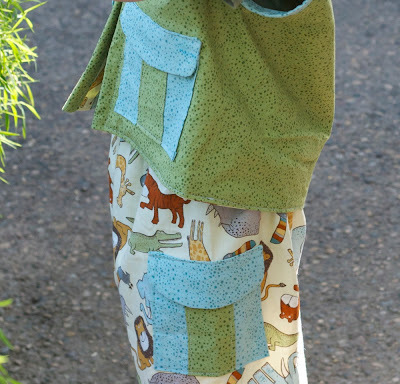 I'll make pants for my little one, it looks pefect. I'd make some super cute pj pants or some summer backpacks, thanks for the great giveaway! Very cute, especially the little girl outfit! This is so stinkin cute!! Love the bum ruffles!!! Thanks for sharing on Fancy This Fridays!! These are precious. 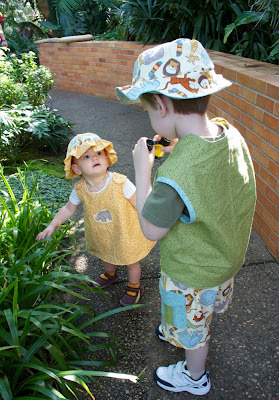 Love that they are reversible and those ruffled bloomers are too dang cute...as are the models!